My name is Maxime Verrette, I am from Montreal, Quebec. I’m an Art Director, working full time at a web agency in the day and tinkering on personal gaming projects at night. I came up with this re-imaging concept shortly after the release of the Mad Max Fury Road movie in 2015. 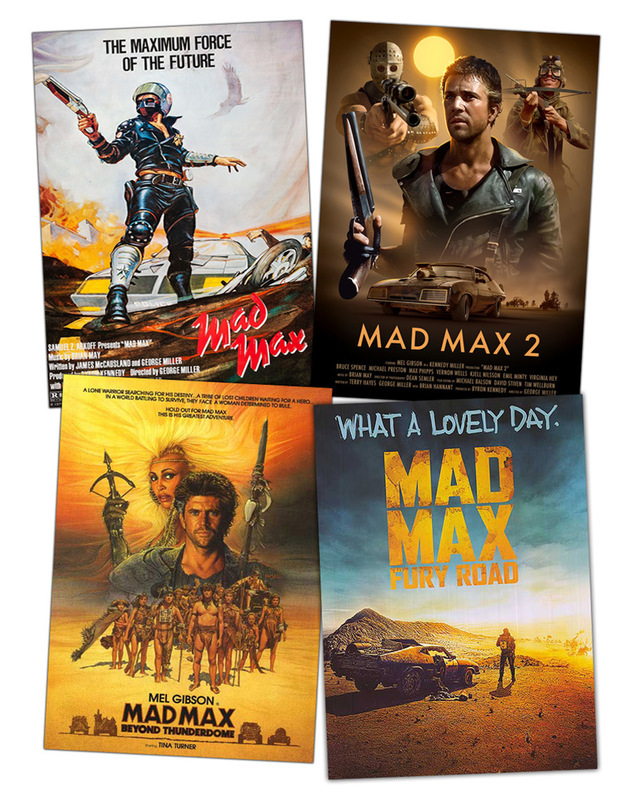 Growing up, I was a big fan of the Mad Max franchise, including Mad Max and The Road Warrior. Beyond Thunderdome (also known as Mad Max 3), I enjoyed less since I felt it lacked the same quality and it seemed disconnected from the previous films. I think maybe director George Miller realized this while planning for Fury Road and so went back to what Mad Max is mainly about: Souped-up vehicles battling it out on an endless desert highway. 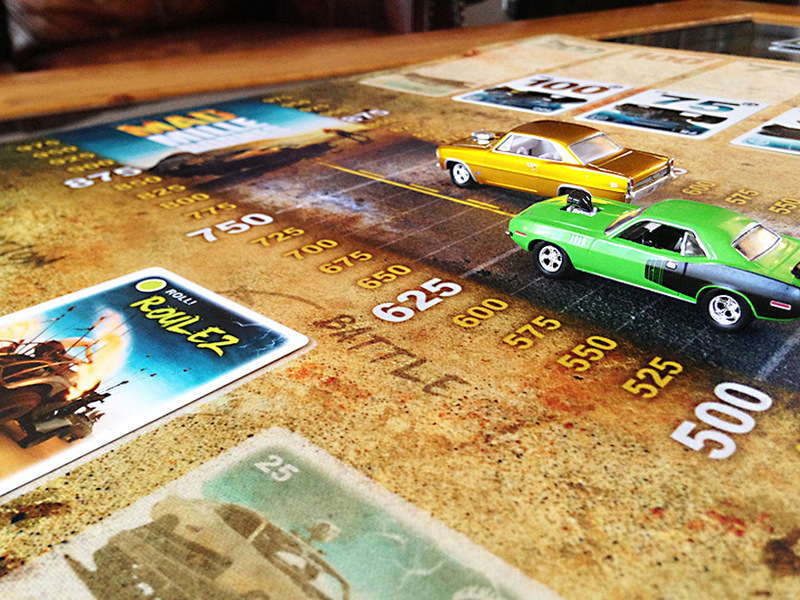 The new imagery and depiction of the dystopian world of Mad Max was quite inspiring for this project. 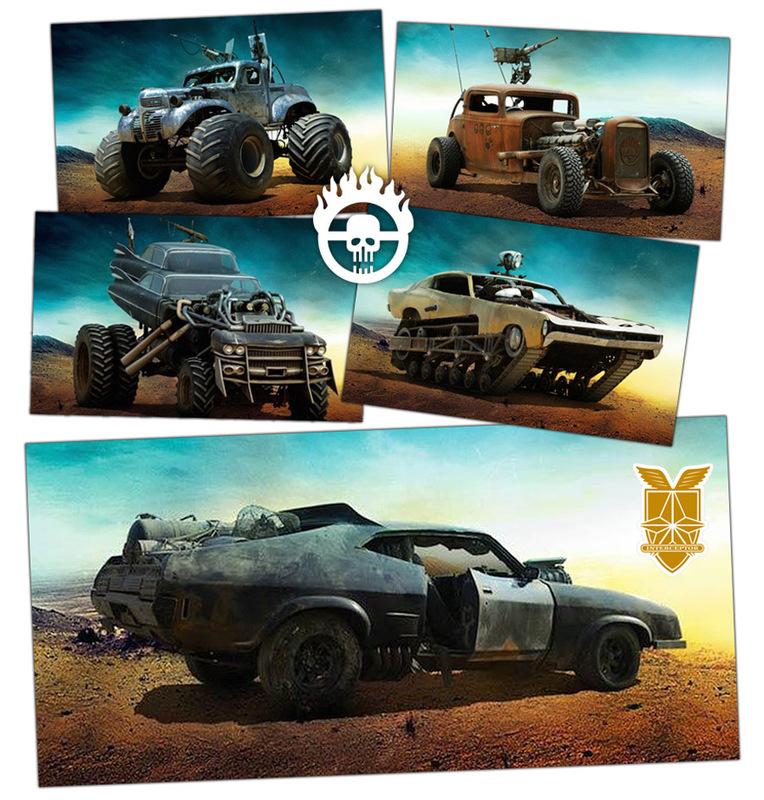 The promotional material, especially the car mug shots, is what made me envision a potential game setting, specifically a card game. 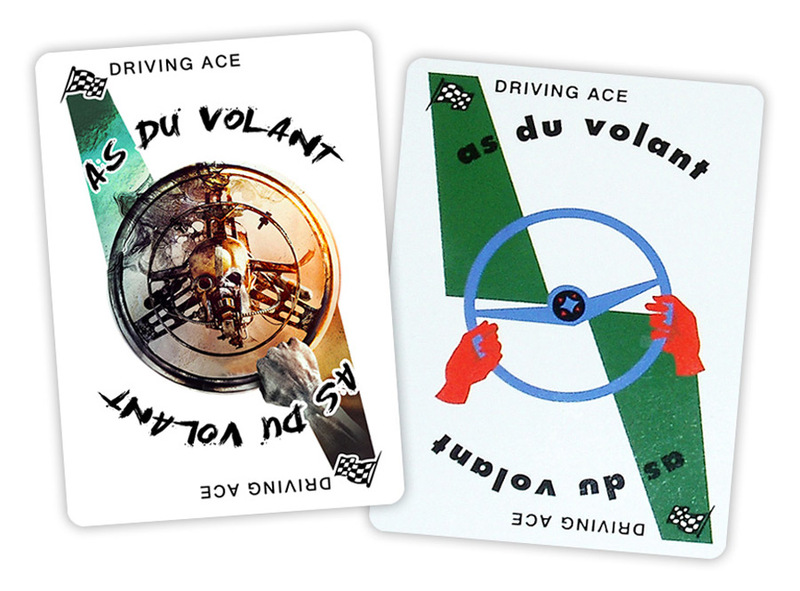 Around that same time, I happened to find a vintage copy of the French card game Mille Bornes . 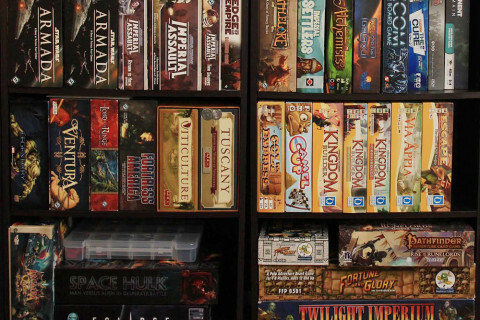 As a kid, I used to play it with my cousins at my grandmother’s cottage. 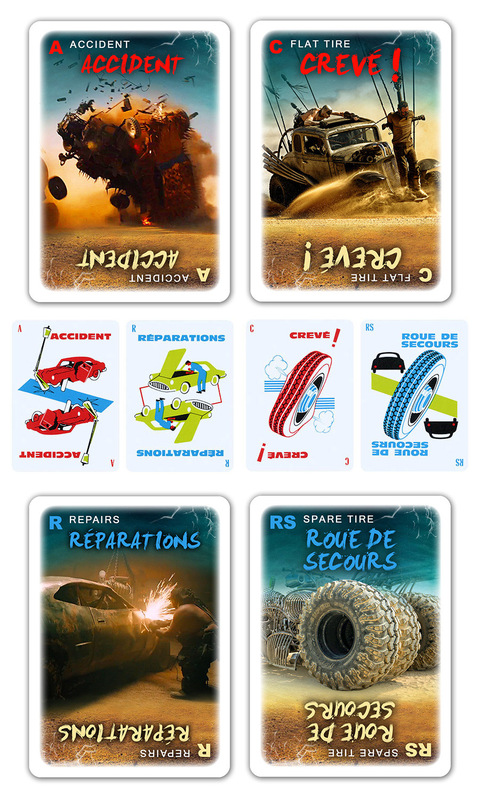 As I was nostalgically shuffling through the cards, I realized how perfect Mad Max and Mille Bornes could mesh together: For every Mille Bornes card, I could see the Mad Max Fury Road equivalent… I just had to make the visuals fit the card. But I also wanted to preserve the essence and design of the classic game I grew up with. 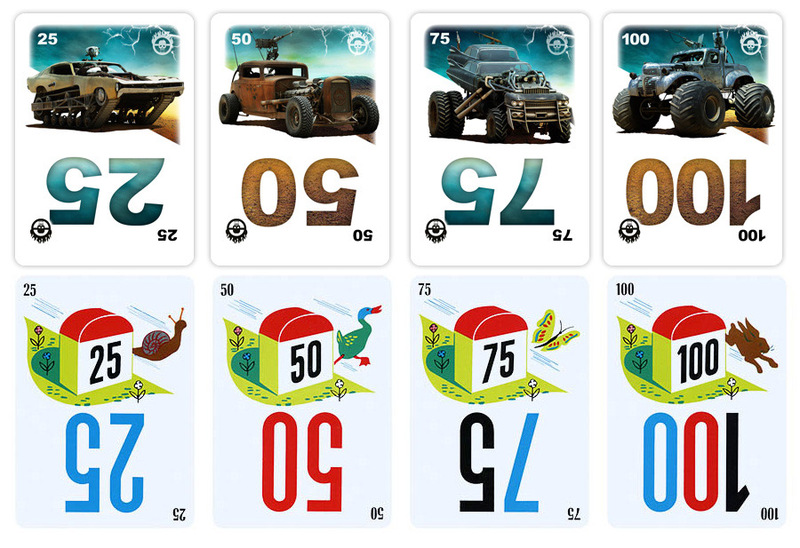 Turns out there were many designs made over the years by the makers of Mille Bornes. The one I came to know and love was the 1964 version. And so it was only natural that I use this version as my reference material. 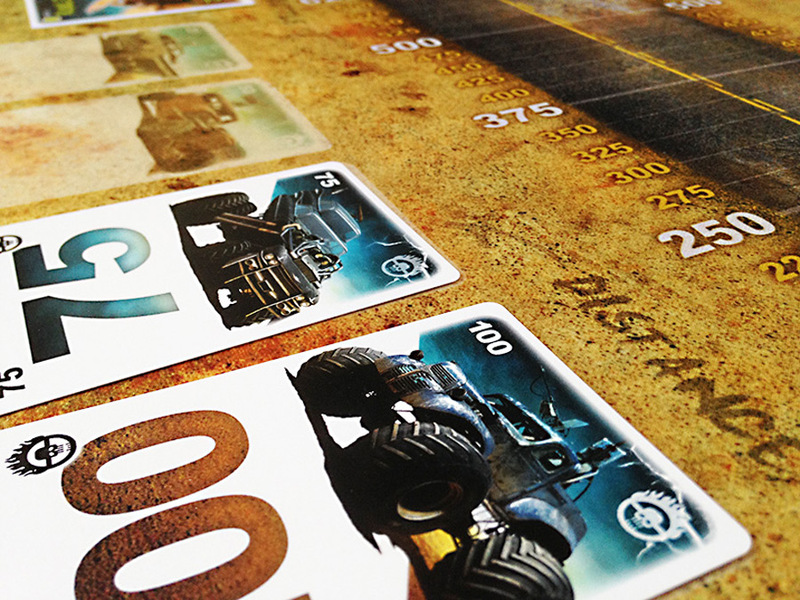 The mileage cards are those I envisioned first: There were more than enough vehicle models to choose from. 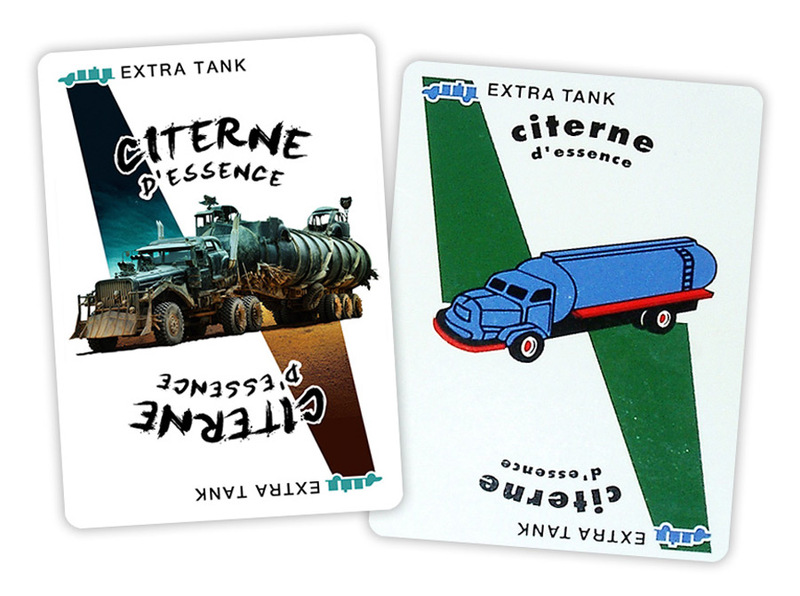 I even had the luxury of associating the relevance/importance of the vehicles in the movie to the equivalent Mille Bornes cards. Even though the Interceptor seems to get destroyed in every movie it’s in, it still was the obvious choice for the 200 card ;). These cards would have their own templates where I would use specific scenes in the movie to illustrate each individual card. I managed to match most cards rather quickly. Only a hand full of cards needed considerable doctoring while only 2 cards needed external materials (not from the movie) in order to illustrate their concept. 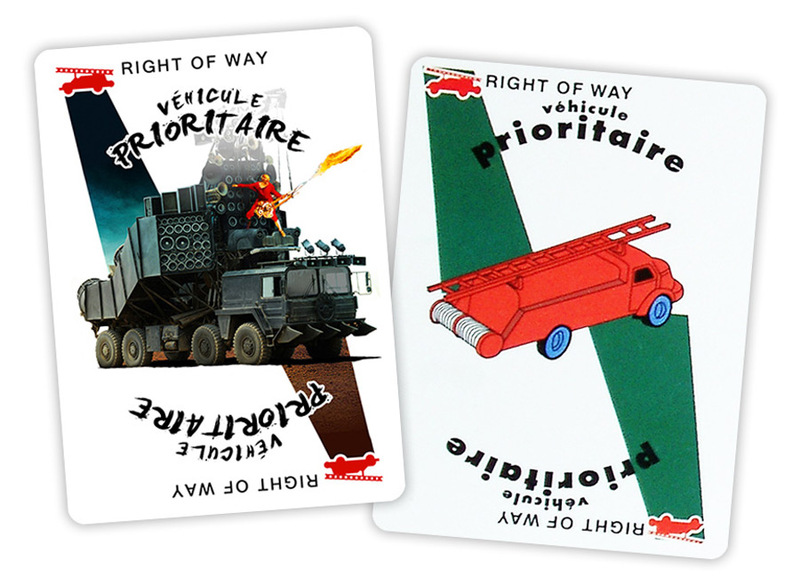 The Safety Cards were the most rewarding to adapt since I was able to match key movie visuals to the Mille Bornes cards without altering the original concepts. Finally, several months after completing the cards, I started working on a custom play mat, mainly for each player to have their own play area. 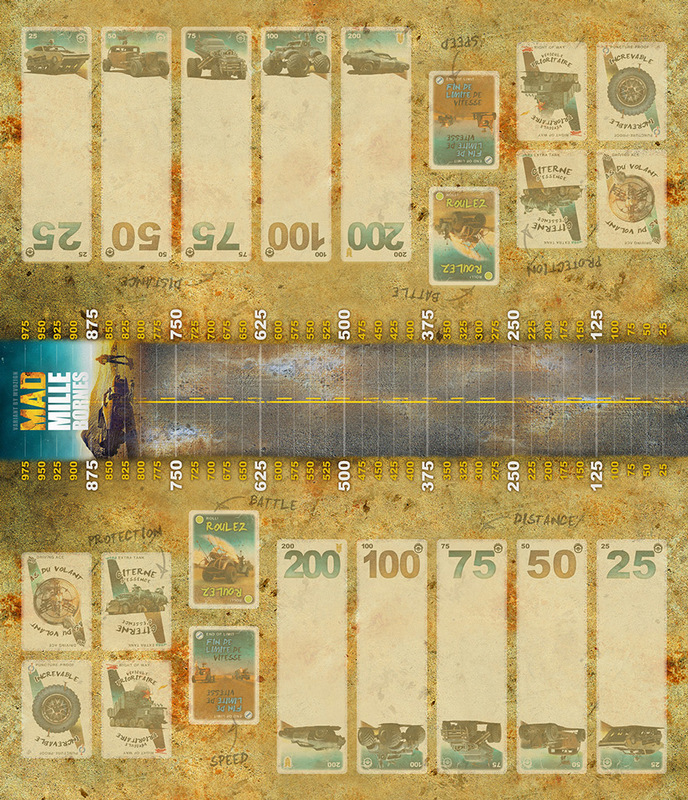 Reason being I like designing custom play mats for existing card games that do not have one. It was obviously not going to be anything more than added theme (cool looking but utterly useless). 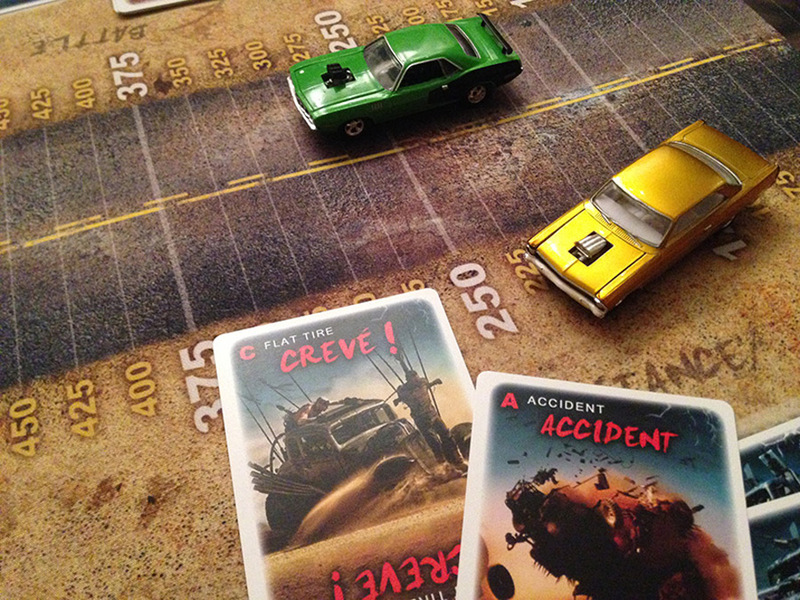 But then I came up with a score track that became a road and then it quickly evolved into a large play area where the center piece is the road and where toy cars are used as score markers as they “race” to the finish line…of 1000Miles. Through the many sessions I’ve had with friends and family, I can proudly say that the play mat brought an extra level of excitement that I initially did not expect. It was a fun exercise in design. Thanks for watching, have fun and keep playing games. Photo credits: Maxime Verrette / Used with permission. 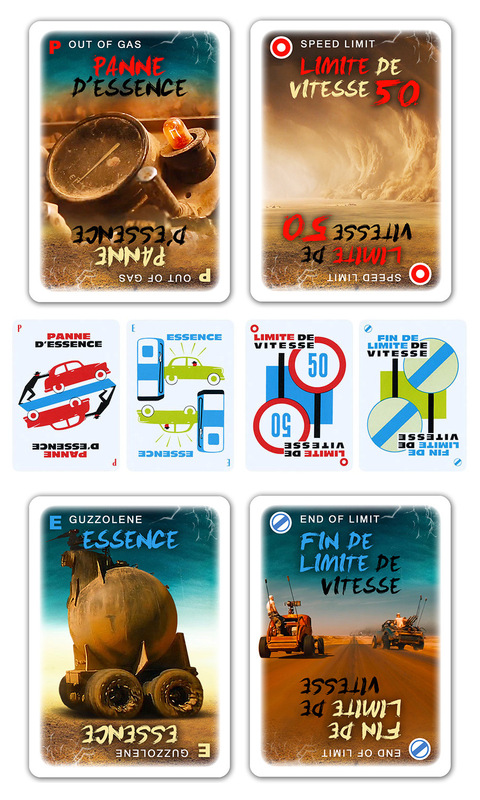 Mad Max copyright Warner Brothers, Milles Bornes copyright TF1 Games. 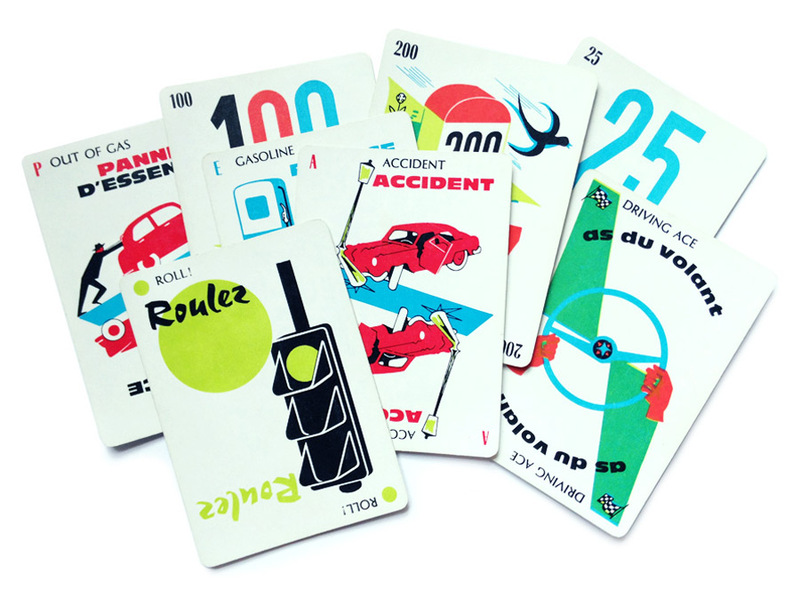 I’ve never heard of Mille Bornes, but this do-over looks simply awesome! Back in the day, this card game was labeled as a family game. Now if you look up Miles Bornes on their website, it’s much more targeted to young children. Maybe the reason it’s a bit under the radar. 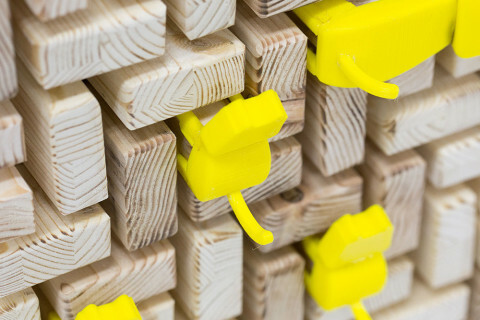 This is a super do-over, and it brings back memory of playing mille borne as a kid as well. My late wife wasn’t much of a gamer, but she absolutely loved her Mille Borne. Found her set the other day — it was the 1964 version you’ve used here. 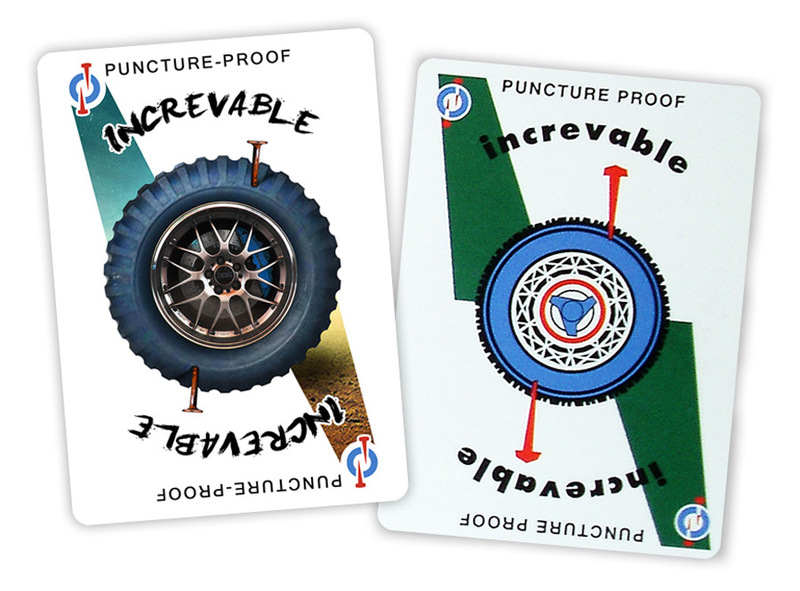 THIS is a game I’d back on Kickstarter if it were ever able to be produced. My pleasure for the memories. Sorry, not making/selling any copies as this project is made up mostly of copyright materials. Could you please let us know if this deck is available for purchase? 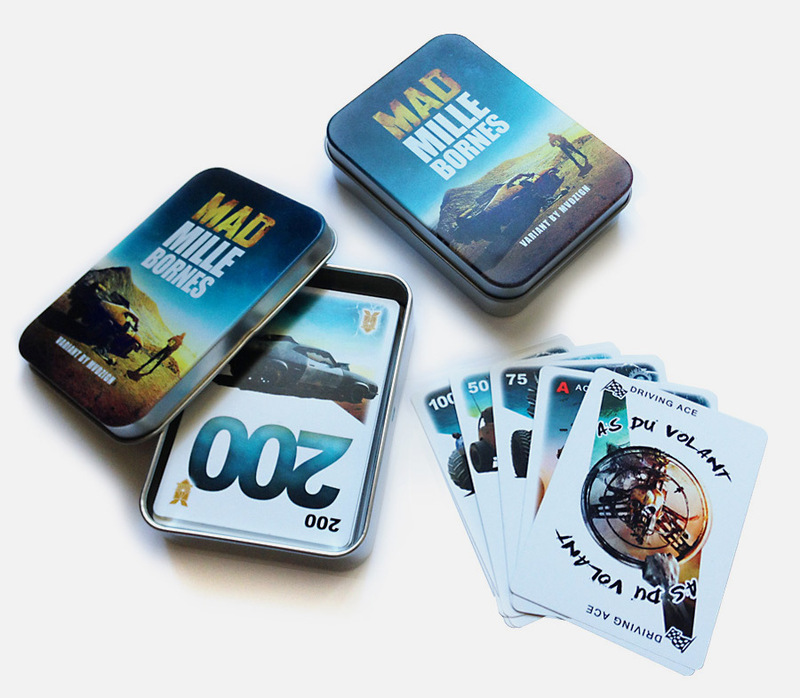 We are long time fans of the Mad Max series and have been waiting for a professionally designed cross-over with Mille Bornes since the first movie back in 1977! 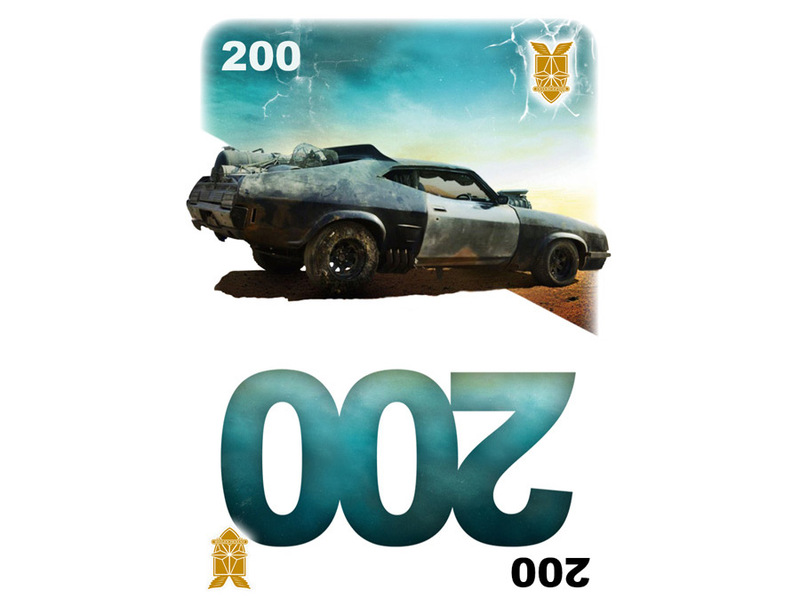 If you designed a deck based on each movie we would purchase them all. Sorry, just read Robert’s message above. 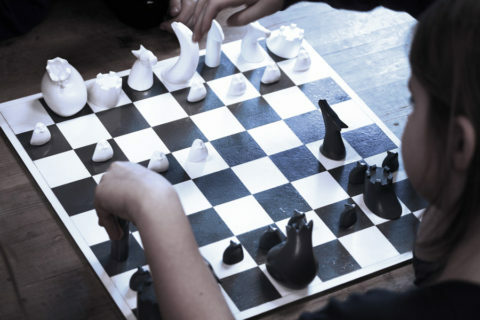 Please sell this idea to Winning Moves! Best of luck.